It’s a beautiful game with lots of challenging scenarios. It’s not so easy to navigate your little guy around (either my fat fingers are too old or mobile is tricky) and his world is just unrelenting! Death trap after death trap! It’s a great game but not for someone who likes lighter game fare. When I started playing this game I thought this is amazing I actually have LIMBO my brother has it on his computer and I wanted to buy it so I earned 4 bucks and this is just amazing. So by the way if you jump on the light on the glass level you won’t die and also you half to jump on the hose hope you guys finish the game I haven’t yet if anybody can tell me how to beat the game that would be awesome good luck!! Hi, i have bought games in App Store for a lot of $ over the years. Limbo and Inside are one of the best games i have ever played on iPhone. This is like the most excited movie you have ever watched and you are somehow part of it. It is 100% worth the money. We need more hard levels! 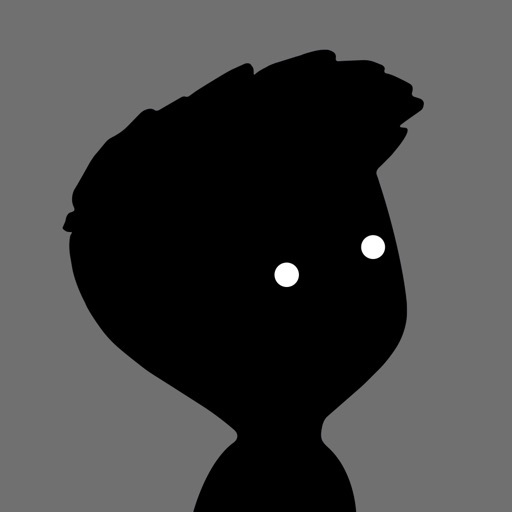 Limbo has pushed the boundaries in solving puzzles! From the background music to the background scenes Limbo truly is a mysterious games yet beautiful! Ending is very mysterious I hope it’s a lead to part 2!! Just bought playdead’s new game Inside, can’t want to pass it!!! Please make more games!!! $4 to Enact a Tragedy? For the life of me, I do not understand this game. This poor little boy is killed by me in a puddle 8 seconds into the game only to be resurrected and die again. It’s morose. If there is a way to get him over that puddle I’m sure I don’t know what it is. I’ve tried dozens of times: forwards; backwards; jumping; sliding, nothing saves him from drowning other than a fatal head injury before he even gets to the puddle. $.50/second is a little steep if you ask me. Stunning graphics, fun puzzles and the best theme ever in a game. Everything about this game is awesome. It’s the first game that I’ve ever actually want to play all the way through.